Fundraiser for Emily Kramer by Geleni Fontaine : Help Third Root Stay Open and Heal! 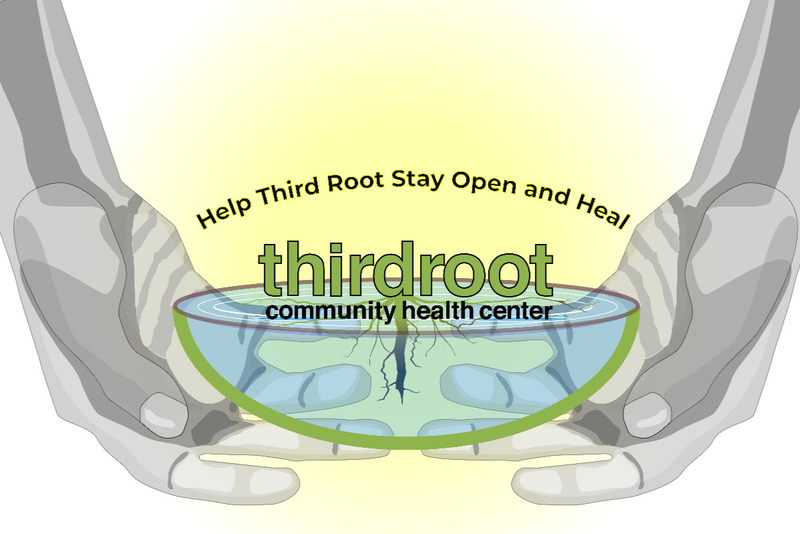 Help Third Root Stay Open and Heal! ...And put your money where your healing is! You know us as the place to come to when you you have pain and illness, or seek healing and connection through acupuncture, herbal medicine, massage, and yoga. Today we need your help to keep our door open and work toward a sustainable future. Do you remember the first time you came to us? What it felt like to be able to receive what we offer on an accessible sliding scale and be welcomed in the entirety of who you are? 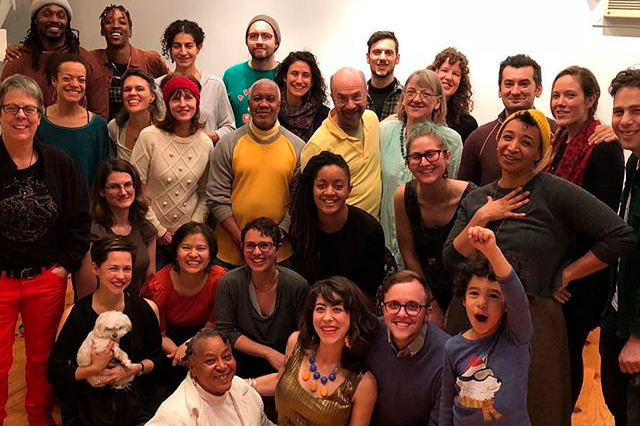 For the past ten years our collectively-run holistic healthcare center in Brooklyn has cared for thousands of people with a special welcome to people of color communities, LGBTIQ people, people with disabilities, survivors, and all who have limited access to holistic healthcare. In the beginning Third Root was a labor of love with collective members donating time, energy, and resources. Even years into the work some collective members were earning as little as $5 an hour. Today we earn $17 an hour. But while we've grown and done important work over time our history, work practices, and structure have created circumstances that have resulted in inequity for many of us, particularly compounded for those of us who are Black and POC, as well as an immediate financial crisis (partially related to low staffing and high turnover in response to low wages, etc.) It also means that our intention to center POC, and especially people of African descent and those from immigrant communities has fallen short of our mission, internally and externally. This is all happening in the moment of this current political landscape in which state pressure is mounting against many communities while resources diminish. * Raised the cost of individual yoga classes for the first time in years, while increasing the number of classes that are by donation and "no one turned away for lack of funds." We need your help! Think of the healing support you've gotten at Third Root. Can you offer us the value of a private one-hour healing session at your rate on the sliding scale? Or the value of a community acupuncture session at your rate, or perhaps a yoga class? Think of it as a 10th Anniversary gift and investment in your healing, ours, and that of our shared communities. We really need your help to get us over this significant hump. Once we're past it we see a more solid future ahead, but only community uplift will get us all there together! This is our final update as we deactivate this campaign. We continue to be uplifted in many ways by your amazing support, and have begun 2019 with a tender sense of abundance. As of Jan 3rd we reached our fundraising goal of $25,000! We've been celebrating this achievement and are returning now to the business of forging ahead into a sustainable and collaborative future. Thank you for making that future possible and bright! Happy New Year, dear friends and community! Thank you for the incredible support you’ve given us over the past three months of this campaign, and through the years before it. While the deadline has come we haven’t reached our goal and still welcome support to move us forward. And we’ve gotten close! You’ve helped us raise $24,325 in 90 days, just $675 short of the $25,000 goal. This is an amazing achievement and we’re awed and proud of it. More than 250 people donated amounts ranging from $5 to $1,500. The next few weeks will see the start of major repairs and improvements in our apothecary space. Our facilitation process with our consultant from AORTA continues and has already been instrumental in moving us forward. We’ve been able to devote staff energy toward building a sound financial future while also managing to bring in a healthy income this season. Crisis has become opportunity, but we need to keep moving in a growing direction to be sustainable and accessible, to be true to our mission and vision. Dear Friends: We're in our last week with still $3,462 to go before we end our campaign on Dec 31st. We'll take donations until midnight on New Year's Eve. 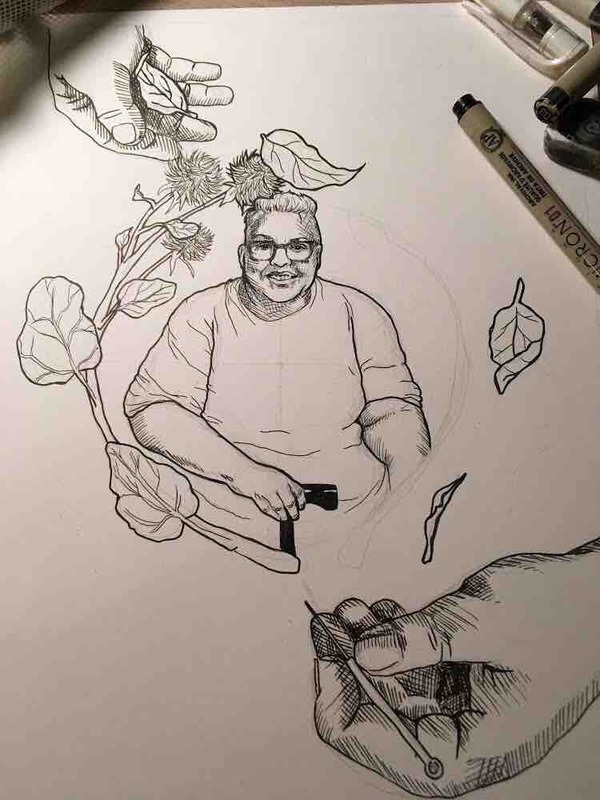 From now on every donor will receive a digital copy of "People's Medicine," an installment of artist Syan Rose's illustrated interview project OUR WORK IS EVERYWHERE, which uses conversations with Queer and Trans artists, healers, and organizers, to discuss power, resistance, love, and magic. This installment features an interview with collective member-owner and acupuncturist Geleni Fontaine. For more info on Syan's beautiful work, visit ourworkiseverywhere.com or @syan_rose on Instagram. Funds have so far covered the cost of much-needed facilitation, supplies for acupuncturists and massage therapists, and soon repairs and updating of our multi use apothecary space. Thank you for nourishing Third Root!